If there’s one thing Ed Sheeran is good for – besides being a generally amazing musician and human being, of course – it’s reminding me what I want in life. 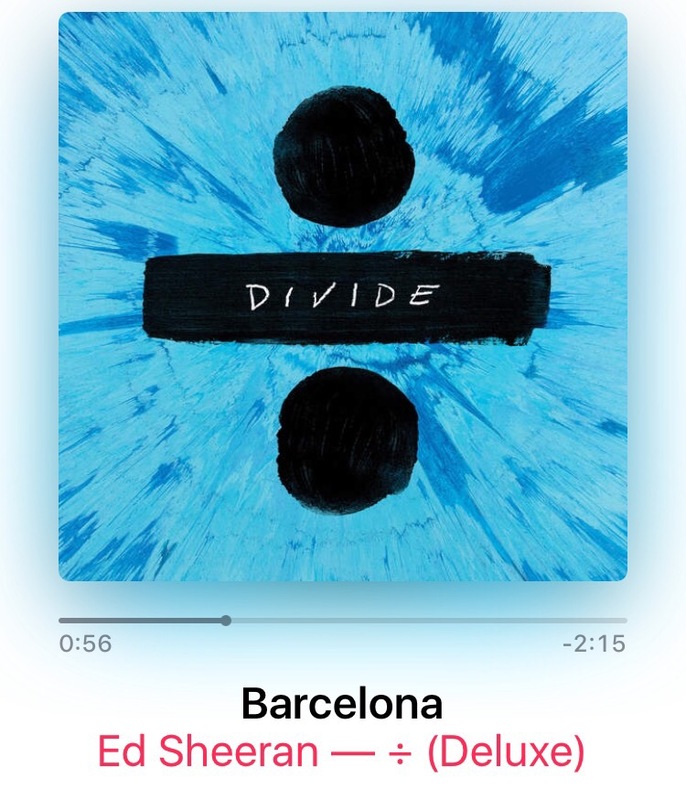 From what I’ve heard of his new album, Divide, I love it. But “Barcelona” really strikes a cord. I’ve always enjoyed Spanish. In fact, it was my minor at one point, but due to circumstances that weren’t completely in my control, it unfortunately fell through. Naturally, I was in a funk about it for awhile; I still felt that I could do it, even though it might be stressful. It was stressful while I was doing it, sure. But I didn’t give up because I love it, and I don’t give up on things I love easily. I was considering staying on after graduation to get the minor, but I have since decided not to. Because “Barcelona” reminds me that Spanish is so much more than a minor. I can go to multiple countries where Spanish is what the majority of the population speaks. I’m definitely planning to go to Spain someday. The title of this post actually translates to “I will be in Spain”. And I can use it for a lot of other things too. Lately, I’ve been scattering phrases in my writing, and I’ve even got some fanfic in the works where the characters are going to go to Spain. Notice I didn’t say one thing about teaching it. There’s a huge misconception that when someone studies a language – including English, which happens to be my major – they want to be a teacher. Teaching is not at the top of my dream job list. It doesn’t even make the list at all. That’s not to say I’m completely opposed to teaching; I’ve had some amazing teachers and professors throughout my academic career. It’s just not necessarily what I see myself doing. There are lots of other things people can do with languages. So, if Ed Sheeran ends up reading this someday, I just want to say thanks. Thanks for giving me perspective and helping me realize that graduating without a Spanish minor isn’t the end of the world. I don’t have to stop learning it, and I won’t. I really appreciate it.